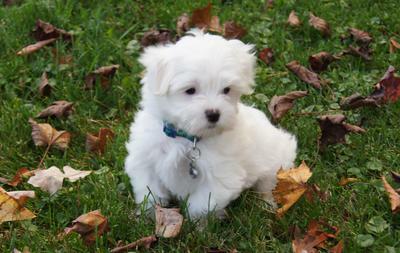 Neige is our little miniature Maltese and he is super playful and cute! We are having trouble pad training him as the post says. He does have to go more often than our Shepherd, making him more maintenance than I anticipated. 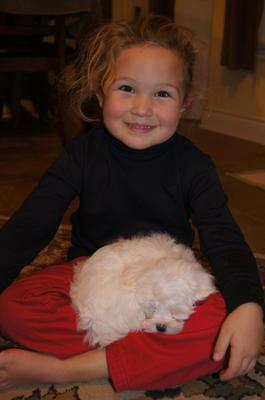 But, he is just the right size for my little girl who wanted a puppy of her own that won't drag her down the street when they go for a walk. 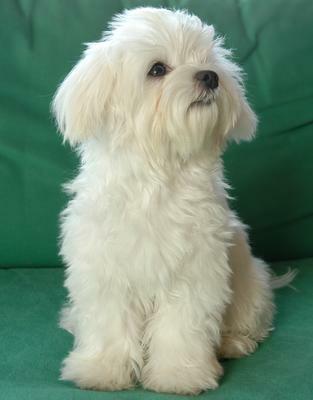 I have a 5 year old daughter and have been considering getting a Maltese. 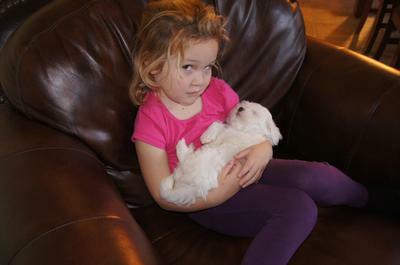 How well does your dog do with your children? Join in and write your own page! It's easy to do. How? 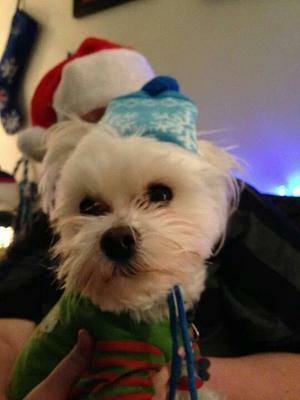 Simply click here to return to Tell Us About Your Teacup Maltese!. I have a eight months old female weight 4 pounds at the moment and she is far far away from what you describe here. She is strong, incredibly healthy, brave and very very beautiful. 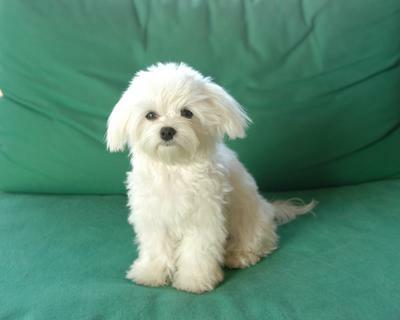 So I really don't agree with any of your remarks about these wonderful teacup Maltese dogs. Buffy is twelve years old and has been a "dream" dog. 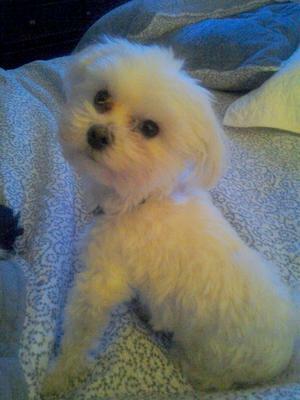 My tiny Maltese weighs 5 lbs. Since the first day I got her she went to work with me every day. She would lay in her crate and go around to the other girls desks and get her treats and go potty on the papers I put down for her. She would also go potty outside. She has never been a big barker which is a good thing because I did NOT want a barking dog! However, she also spends a lot of time with my very active 85 year old Aunt and I must say she is quite a bit different with her. My Maltese is constantly at my aunt to take her outside and she barks a lot more when she is around her, which I really don't like. She definitely has my aunt TRAINED! She never wakes me up in the morning to go potty. I truthfully think I could sleep until noon and she would not bother me. 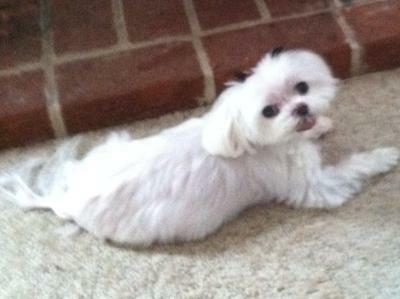 My Maltese dog has been such a joy and I don't feel that I could ever find another one as well behaved! I have always taken her to a lot of places with lots of people and she hardly ever barks at anyone. She will bark if she sees a big dog. She has also travelled several times with me on airplanes and you would hardly know she was even there. She has been one of the best things to come into my life! Bentley Bleau is the sweetest & funniest little dog! He is a year old now and weighs approx. 4lbs. He rules our house. We also have a 130lb. 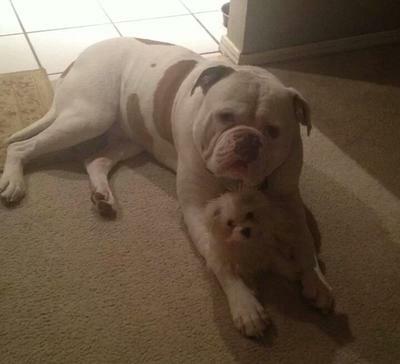 American Bulldog and Bentley keeps him in line! 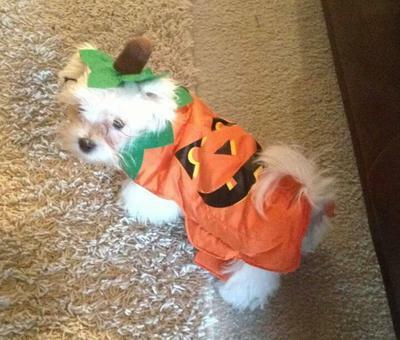 If you start getting dressed, he beggs, dances, & barks at your feet until you pick him up to go with you! He climbs to the highest points in the house & walks on backs of couches like a cat. If our bulldog goes for a toy, Bentley literally goes between his paws and takes it from him! If someone walks out of a store towards our car, he growls! Yet he wants nothing more than to Curl up next to you everytime you sit down! He is so loving and wants nothing but to please you & have your love. Bentley is the best!